It was 4 degrees C when I drove to work this morning and 4 degrees when I drove back this evening. On top of that, this afternoon we had a magnificent, depending on whether you were out walking or driving in it, hailstone storm, complete with thunder. It is starting to feel very wintry. Stu’s dog, Little Pip is going to be the new owner of a coat and Stu has already insulated her Pip Palace; I worry about my pigs as last year was horrendous – so cold and for so long, dreadful for farmers too. During our ‘mad waxing day’ banter today, Mark suggested we start a book on when it is going to snow. Here are our thoughts, please feel free to join in. 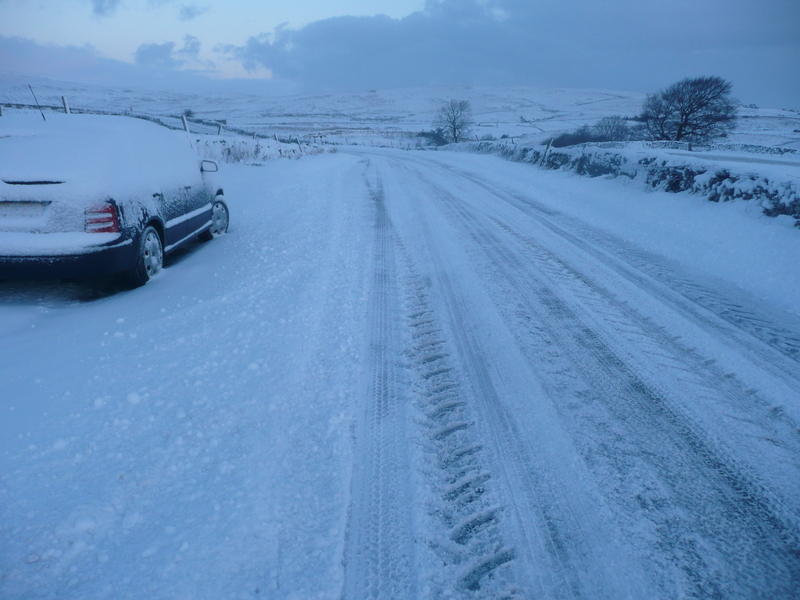 The definition is proper snow, not hailstones or frost, proper snow out at the front of our unit in Hawes, N Yorkshire. Last year, the snow started here 18th November. What do you think? Angela from Wobbly Bottom Farm in Herts…………not before Christmas! Update 19th October 2011: it was 1 degree C setting off to work with a hard frost on the windscreen, dipping to 0.5 degrees over the tops, reaching 3.5 arriving at Hawes. This is not looking good. Update 20th October 2011: -2.5 degrees C setting off this morning for work, dipping to -3.5 and up to 0.5 on arriving in Hawes. All predictions will be added to this post.